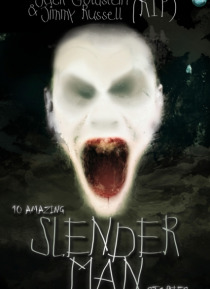 Just before Jack Goldstein and Jimmy Russell published their last book about Slenderman, 101 Amazing Slenderman Facts, they were both found dead in suspicious circumstances. The book was published in their memories. What was not known at the time however was that two packages were making their way through the Royal Mail service. One was from Jimmy and addressed to Jack, the other from Jack address… ed to Jimmy. Both packages contained worrying documents detailing the history of Slenderman, and including some terrifying stories.This grisly collection of documents is offered to the reader in the hope they can make some sense of the killings, as well as finding out further information regarding the slim being.Proceed with caution.